Officials need to keep the public better informed of work on the LIRR mainline and plans for Belmont Park, they said, to preserve residents' quality of life. The Floral Park village board election features a first-time candidate who is already a regular at trustees meetings. Three people are vying for two seats in the March 19 election. Each seat carries a two-year term with a $5,000 annual stipend. The seats are held by former schools superintendent Lynn Pombonyo and Bronx District Attorney's Office investigator Frank Chiara. Pombonyo, who is seeking a third term, was appointed to the board in 2014 to finish the term of Mary-Grace Tomecki. Chiara joined the board in 2017 and is seeking a second term, in part, he said, because he wants to continue making improvements at the village pool and recreation center. "I know my responsibility to the public," Chiara said. "I know that I'm accountable to them. I enjoy working with people, and that's always been one of my strengths; I always listen to people." Chiara and Pombonyo's challenger is Nadia Holubnyczyj, former Hillcrest Civic Association president. Holubnyczyj, a vocal critic of the village board, said she is running because she believes residents have lost their faith in current trustees. If elected, Holubnyczyj said she would gather resident volunteers to serve on village committees because "the level of civic engagement has declined." 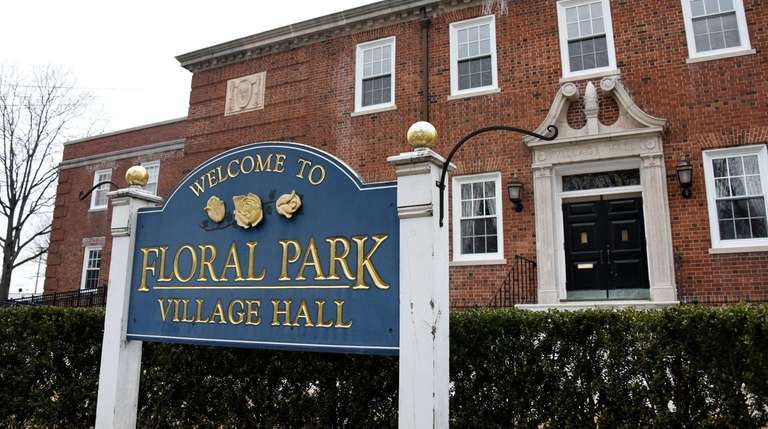 All three candidates said developments are happening around Floral Park that need to be closely monitored to ensure residents' quality of life is disturbed as little as possible, particularly developments at Belmont Park and along the Long Island Rail Road mainline. Trustees and residents said they would be negatively impacted by state officials’ plans to develop Belmont Park into an arena for the Islanders hockey team. The Belmont project calls for an 18,000-seat arena with 435,000 square feet of retail, a movie theater and a 250-room hotel. Earlier this month, village officials submitted written criticisms of the plan to Empire State Development, the state agency overseeing the project. Pombonyo said the state's plan lacks details on how traffic within Floral Park would be mitigated with an influx of arena visitors. Chiara said that if he is re-elected he would "continue to be an advocate for the best interest of the residents" when it comes to Belmont Park. "I realize Belmont Park needs to be redeveloped and Elmont does need economic development, but I just think they [Empire State Development] need more community engagement to find out what the needs of all the [surrounding] villages are," Chiara said. Holubnyczyj said she would fight against the proposed Belmont Park Project if she is elected. She also said she would work with trustees to continue monitoring the LIRR third track construction. Floral Park is one of many North Hempstead communities seeing parts of the village transformed under the LIRR construction. Pombonyo said she would focus in part on making sure 3TC tells residents about planned construction work well ahead of time "and with great specificity." "3TC and the LIRR have to ensure they can demonstrate respect for our community's daily quality of life and daily activities in a way that they're not disturbed," she said. Holubnyczyj echoed Pombonyo's thoughts and added that she already has experience lobbying state officials. "I will work to mitigate the negative impacts of this project and protect the best interests of the residents — just like I did when I lobbied the MTA, LIRR and the governor's office for the now pending elevators at our train station," Holubnyczyj said. Dominick Longobardi is running unopposed for a second term as mayor. Polls will be open from noon to 9 p.m. at the Reliance Fire House in the 1st District; the Recreation/Pool Building in the 2nd and 3rd districts; and the Atlantic Avenue Fire House in the 4th District.